1. 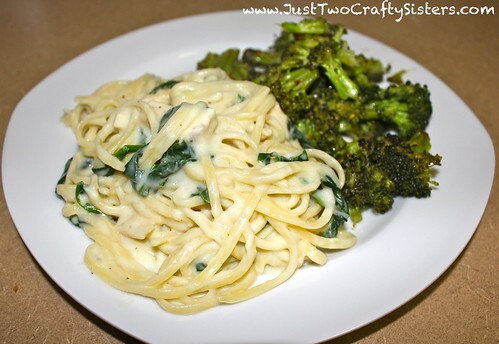 I already had some chicken that I had boiled for meals this week, so I used one of the larger breasts for this meal. 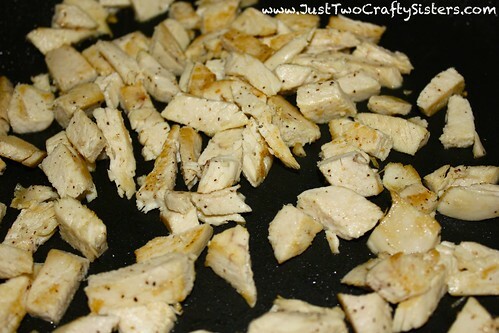 I cut my chicken into small pieces and sautéed them over medium-high heat in a skillet coated with cooking spray. Season with salt and pepper. If you do not have cooked chicken, you can use raw and just make sure it gets cooked through. 2. 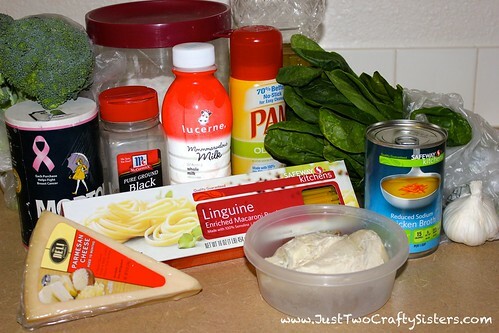 Cook pasta according to the package. Meanwhile, add 2 T canola oil to a heated skillet over medium-high heat. 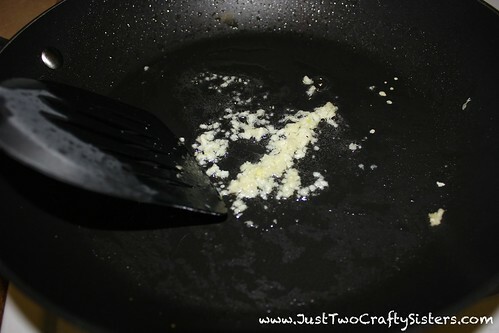 Add minced garlic to the heated oil. 3. 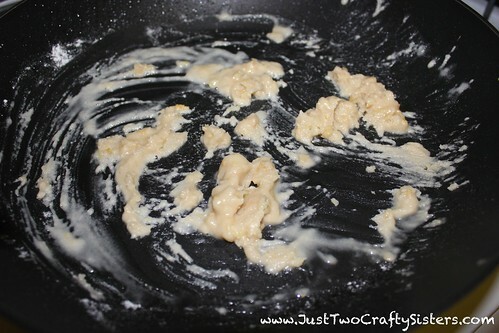 Next add 3 T flour to the pan an cook until garlic is browned, about 2 minutes. Make sure to stir constantly to prevent burning. 4. 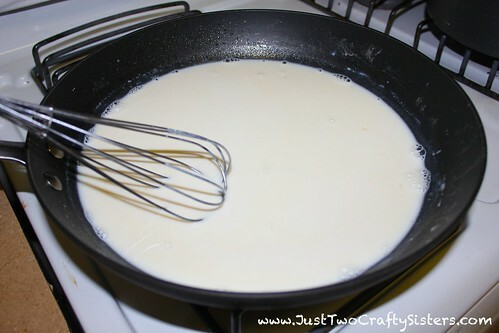 Add milk and broth, stirring with a whisk. Bring it to a simmer and cook for about 2 minutes or until thickened. 5. 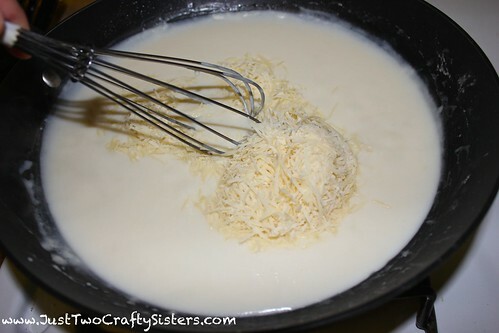 Add cheese, stirring until cheese is fully melted. 6. 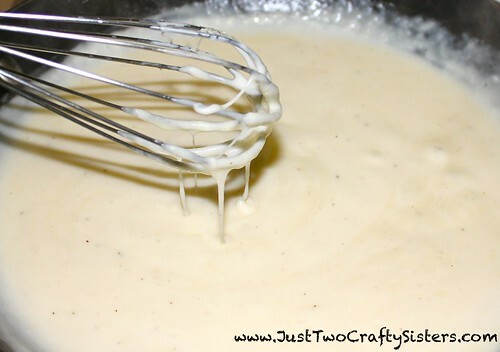 You should now have a thick consistency. Add 1/2 t salt & 1/2 t pepper. 7. 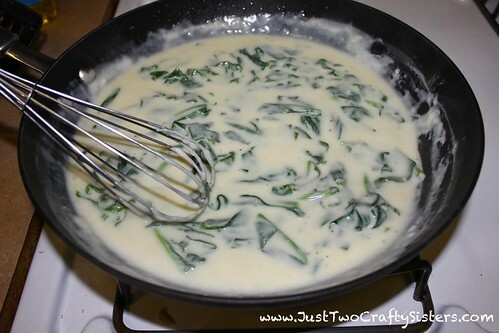 Add your spinach to the mixture, and stir until the spinach wilts. Remove from heat. 8. 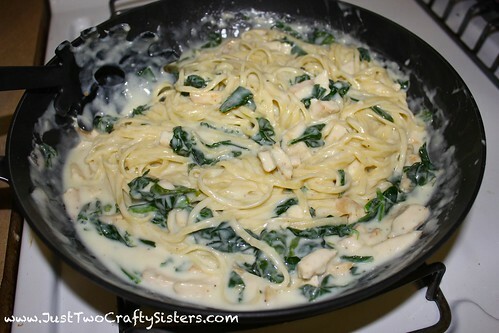 Add cooked pasta and chicken to the pan. Stir to combine and serve.